Ah, patriarchy. There’s no greater evidence that it’s a man’s world (or was a man’s world) than when we read the pages of a history book. The inherently male bias runs through most records of the centuries, because money and power lay solely at the hands of men (read this for an excellent explanation). Herstory is a relatively new tradition that reinvigorates history from the perspective of women. Through fiction or true tales, the mothers, the prostitutes, the uneducated daughters have their stories told. Think Colm Tóibín’s The Testament of Mary; think People of the Book by Geraldine Brooks. In this generous re-imagining of the past, writers honour all women’s contribution to history—whether they were the wife of a prominent figure, a secret mistress, or suffragettes, or whether they held power or were exploited, they all had a hand in changing the world. Historical fiction delves into herstory quite commonly. Lesser known characters are recreated as protagonists, and their trials, emotions and perspectives are brought to life. 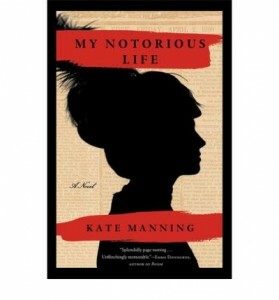 Kate Manning’s My Notorious Life fits into this tradition marvellously. The main character, Axie Muldoon, is based on Ann Trow Lohman, who lived in 1811-1879 and was a prominent midwife in New York City. The story begins as Axie and her two young siblings beg on the city street; their father is dead and their mother compassionate yet disfigured. They are captured by moralising charity workers who run a program that ‘saves’ orphans. The devout Mr & Mrs Brace wax lyrical on fallen women and children being ‘exposed to the temptations that beset the unfortunate’, before shipping the children off to the countryside to new parents. Axie refuses to behave or act the part of obedient child, and returns to the city just in time to be with her mother as she gives birth to a child who lives for only a day. Infamous midwife Mrs Evans attempts to save Axie’s mother who is bleeding catastrophically, but Mary Muldoon passes away in the arms of her daughter. Mrs Evans takes Axie under her wing first as a servant, then as a midwife. We discover that Axie’s teacher gives secret abortions (as a last resort, and only before it ‘is quickened’), and instructs her on the ways of ‘scraping’. The couple creates a lucrative enterprise, and also sells dubious contraceptives. Axie reluctantly conducts bloody abortions (of which there are very grisly descriptions), and eventually becomes well known in New York as ‘Madame X’. My Notorious Life is a long book at 429 pages, and Manning indulges in heavy detail of Axie’s existence. This is her way of documenting the destitution that millions experienced in 19th century New York, and the drudgery that was everyday life. There are dirty toddlers searching for scraps in the street, loitering prostitutes who are spat on by the men who visit them at night, and mothers desperate to stop the seed growing in their belly because in the slums another mouth to feed is torture. Because isn’t it more of a mercy to stop a child existing before it is born into a cruel world of violence and cold and hunger? Not everyone thinks so. My Notorious Life details the righteous Christian society that America once was, which drew a line between ‘good people’ and ‘bad people’, and church and state slept in the same bed. Axie is pursued by a man she refers to as ‘My Enemy’ who deems her work with women torn apart by constant childbirth as evil, and she eventually spends time in jail. The underlying attitudes that seem so unjust in My Notorious Life are, to Manning, alive today (especially in the US). The moral outcry about the Lunar Pill has similarities to the arguments against the RU486 ‘abortion pill’, made available in the US in 2000. We also see the conservatism that incarcerated Axie in current legislative tug-of-war that impinges on reproductive rights. And in the novel, Axie’s office is surrounded by a lynch mob—a nod to today’s Planned Parenthood protesters who stand outside abortion clinics and yell. My Notorious Life is a detailed and emotional herstory, a tribute to the legacy of a woman who was essential for the progression of women’s health rights in the US. 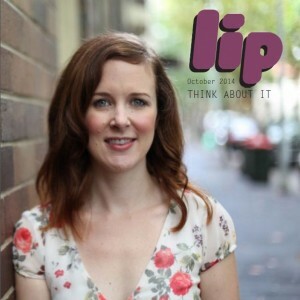 This entry was posted in Books and tagged abortion, feminism, herstory, historical, Kate Manning, Lou Heinrich, midwife, My Notorious Life, novel, reproductive rights, Review. Bookmark the permalink.